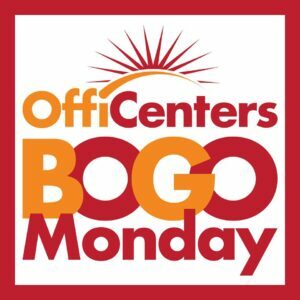 BOGO Mondays During CoWorking Month! Every Monday during CoWorking Month is Buy One Get One! Sign an agreement (12 month Full-Time or any Virtual plan) on a Monday in August and get one month FREE! This an awesome limited offer, so come in for a tour or call us at 612-349-2700 to get started!